Born in 2011 and nurtured on a diet of K cider, weed and skateboarding, Brighton-via-Cornwall trio Gnarwolves have been tearing through the UK underground, garnering stellar reviews since their inception. In the relatively short time they have been playing music, the three-piece have made the giant leap from a cult basement act to a genuine prospective phenomenon. Due in no small part to their electric live shows, the band have been picking up fans left, right and centre with their deadly cocktail of snarling, in-your-face, punk urgency and bona-fide anthemic hooks. Taking in every corner of the UK, the band already possess an impressive touring CV with support slots to Funeral for a Friend, Lower Than Atlantis and The Story So Far in the past year alone. With shows notorious for mass arms-aloft sing-alongs and seas of crowd surfers, the band have proved to be a perfect festival fixture, already gracing stages at Hevy, Slam Dunk and the ‘I-was-there’ moment of the summer at this year’s Reading and Leeds festivals. 2013 saw the band release their latest EP, and the first under the dual Tangled Talk-Big Scary Monsters banner, Funemployed which sold out of its first pressing within just 24 hours. 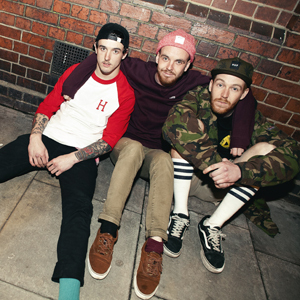 With a debut UK headline tour in December 2013 and whisperings of a hugely anticipated debut album arriving in 2014, the next year promises to see Gnarwolves’ stock continue to rise. 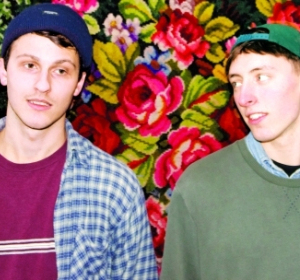 Emo rock duo Nai Harvest who hail from Sheffield have garnered a host of support and praise after their debut release ‘Whatever’. It’s killer riffs and chord progressions have excited audiences and confirmed their place in emo revival that is happening around the UK alongside Gnarwolves and Moose Blood. ‘This is a record that will be held in high regard amongst fans of the genre for some time and no doubt inspire some die-hard fandom.’ – Dead Press! 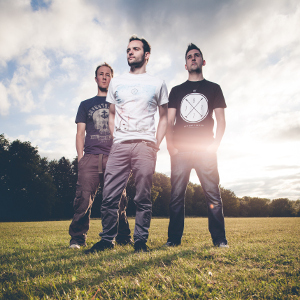 The UK punk rock trio from Birmingham, TEMPLETON PEK, have recently released their third studio album “Signs” produced by Shep Goodman (Four Years Strong, Bayside) through Century Media Records. and also featuring two tracks from UK sessions with Greg Haver (Manic Street Preachers, INME). Comparisons can and will be drawn to the likes of Rise Against, Funeral For A Friend, Story Of The Year, or even the early days of the Foo Fighters galvanized with influences from the 90′s Fat Wreck and So-Cal movements. The new album is a blatant in-your-face display of TEMPLETON PEK’s confidence in their art and their unapologetic belief in what they do. TEMPLETON PEK spent the summer of 2011 supporting USA giants Rise Against across Europe and appearing alongside Good Charlotte and Bullet for My Valentine at major festivals.. The band recently completed full promotional tours in support of US band Nations Afire (ex Rise Against & Ignite members) and Versus the World (Lagwagon and The Ataris) aswell as appearances at both Monster Bash Festival legs with Rise Against, Pennywise, Flag, Less Than Jake and more. This summer boasted slotst at Serengetti, Mighty Sounds, Olgas Rocks, Tells Bells, Scream it Out Loud and more alongside bands Skunk Anansie, Strike Anywhere, Suicidal Tendancies, Agnostic Front, Evergreen Terrace, Snuff, Alkaline Trio and more. 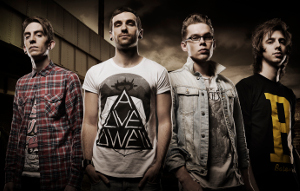 Maycomb is a 4-piece hailing from Wolverhampton. Playing their own brand of bitter-sweet, melodic punk-rock, the band has spent the past few years making a name for itself, sharing stages with the likes of Saves The Day, The Starting Line and The Wonder Years before releasing the well-received debut album, ‘I Opened My Heart To Caustic Things‘, at the tail end of 2012.